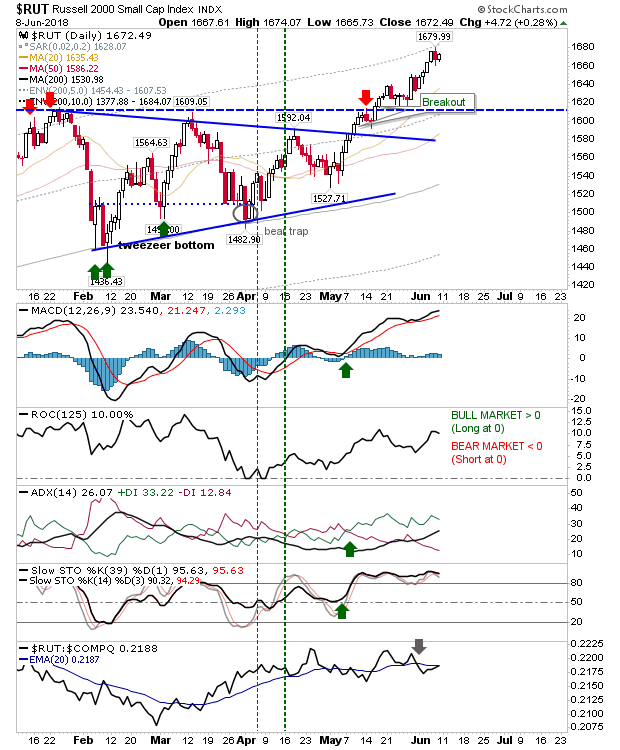 Markets feeling the pressure of Thursday''s selling recovered to maintain recent breakouts. For example, the Nasdaq 100 made it back to breakout support after briefly undercutting this level on Thursday. 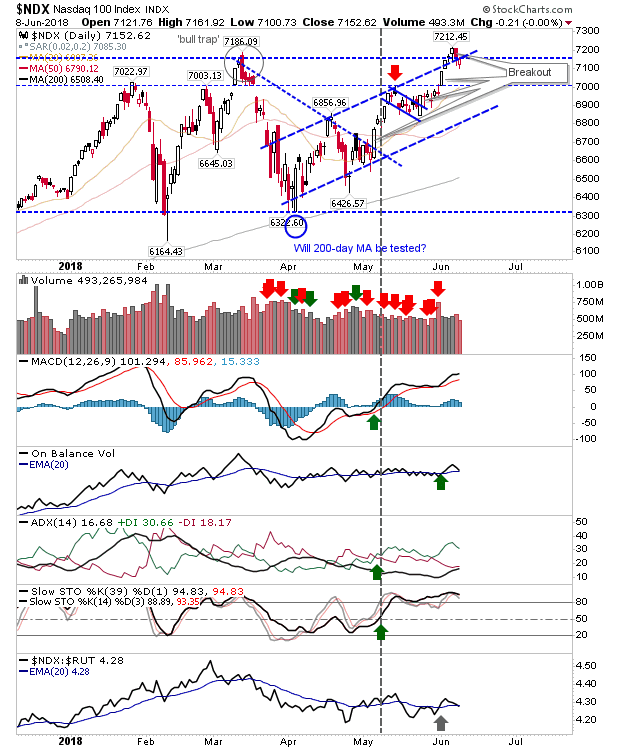 Technicals are all bullish and the index remains well placed for further gains. 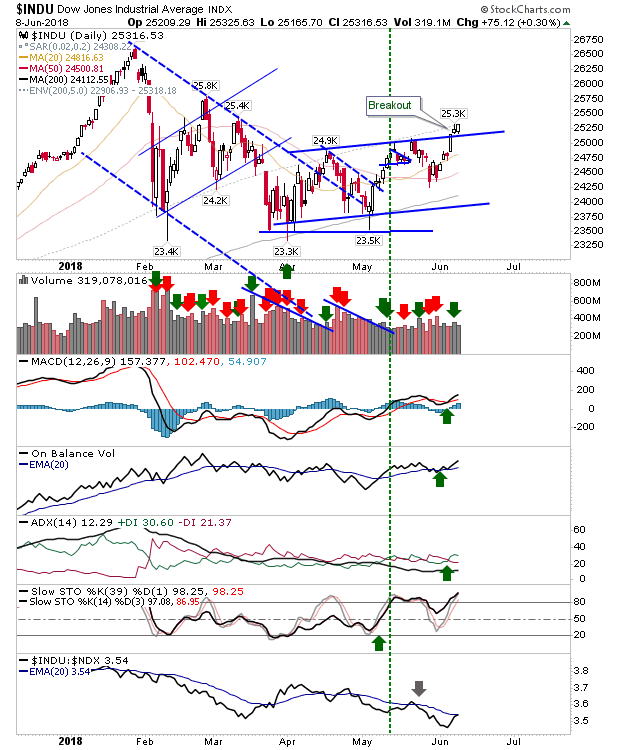 The Dow Jones Industrial Average also benefitted by staying clear of its narrow rising channel. The index looks set to shape a new right-hand-side base with 25,800 its next challenge. The Russell 2000 is well above breakout support and approaching a level which is 10% above its 200-day MA (when it gets above 12% it will be in profit take territory). 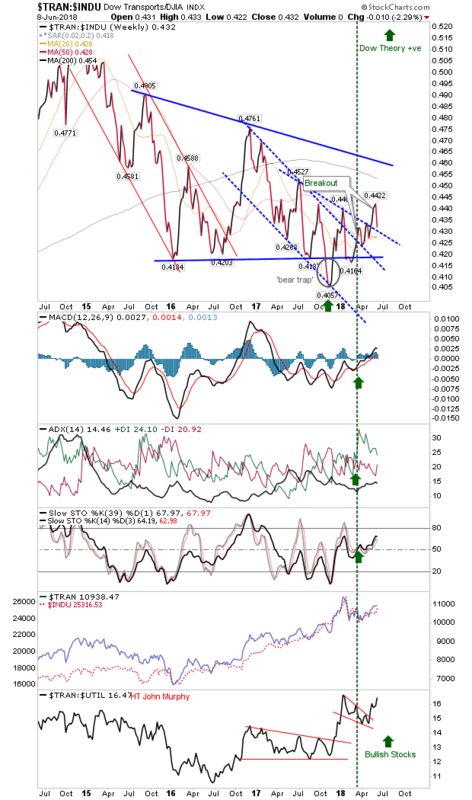 Technicals are all positive. 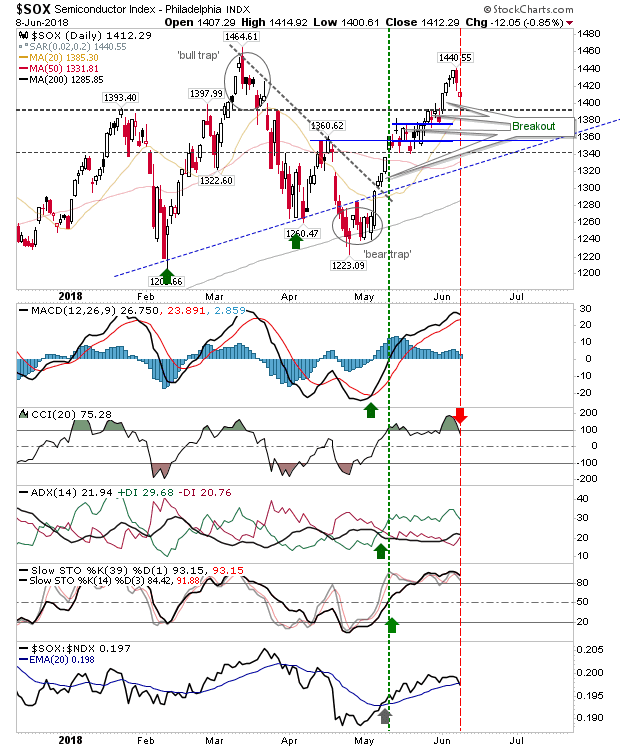 The Semiconductor Index was another index to make it back to breakout support, despite a 'sell' trigger in CCI.- it was the only index to show technical weakness. 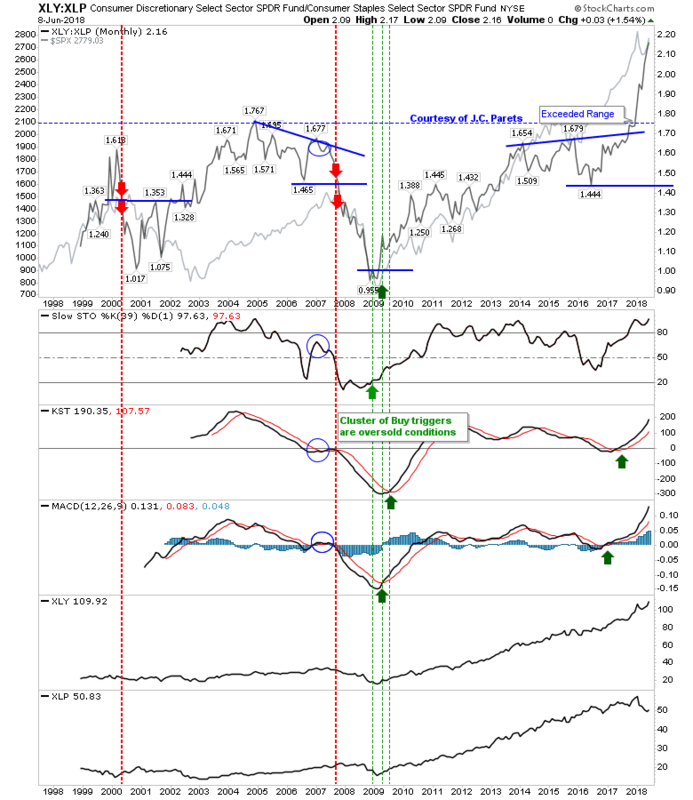 The ratio relationship between Discretionary and Staples accelerated to new highs as markets feel out a new resistance area; so far, bulls have full control. Likewise, supporters of Dow Theory will be pleased to see the channel breakout in the ratio between the Dow Jones Industrial Average and Dow hold on as it looks to reverse its 3.5-year decline. For Monday, look for further consolidation of gains as markets adjust to last week's breakouts. Bulls have an easier time as there is no obvious short-side setup. Holding on an existing long play is perhaps the most prudent course of action.